Discussion in 'Forza Horizon 4' started by GTPNewsWire, Jan 15, 2019. This article was published by Kyle Patrick (@SlipZtrEm) on January 15th, 2019 in the Forza Horizon 4 category. First impressions of Free-For-All: welcome to the Bone Shaker Wall-Riding Championship! The people that I raced with were for the most part, decent enough though...with less people running into each other on purpose at least. Though the groups seemed pretty decently fast, and thus, good (perhaps better than normal). I played a bit, and the groups seemed much cleaner, with lots of club tags (and pretty big ones too). I think you'll see the FFA hopper attract higher quality players, whereas less talented drivers might like the team format, because it isn't necessarily all about them having to win races. Didn't really see many Bone Shakers, but I really don't see what the fuss is about them anyway. They are certainly a good choice for A class, but I routinely pass them in other cars regardless. Surprising Mitsubishi steals the 992 headline. I guess its good to have Mitsubishi back but... come on. Its Mitsubishi. The addition of the 992 is the biggest Forza news for me personally since the release of FH4. Seeing this brand new, beautiful car so early ingame is amazing. 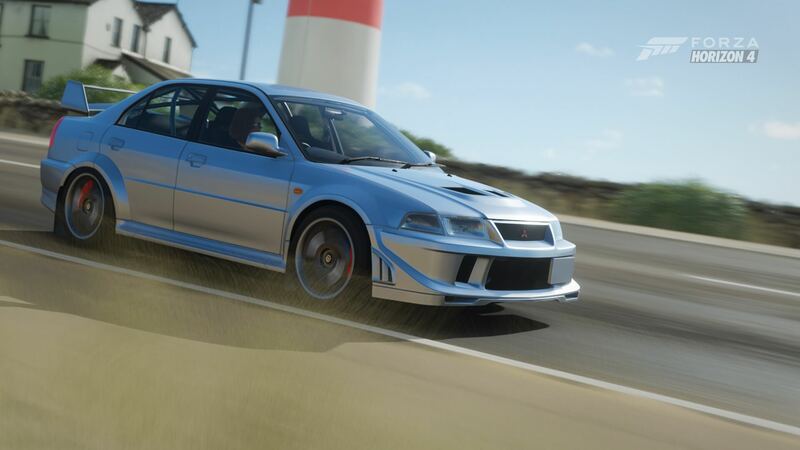 Those old Mitsubishis have been in all kinds of racing games for ages. But to each their own i guess. And dont get mad, im a Stuttgart fanboy. raven214, neddyie118, Sutuki and 1 other person like this. I guess the big difference is that we thought we'd lost Mitsubishi forever possibly. The deal that Porsche has with Forza really makes a new Porsche coming in not seem like a huge stretch. Like, we knew it would come around eventually. SiriusR, VXR, L8 Apex and 3 others like this. What a very huge update, 12 new cars, plus the return of Mitsubishi (for a total of 19), and all the other bells and whistles. This is already as close you can get to a new expansion. Those old Mitsubishis have been in all kinds of racing games for ages. The irony being the 992 still looks the same as basically every 911 before it. Although then there's the counter-irony of most of those Mitsubishis having the same 4G36, I guess. Still, 7 free cars > 1 free car. But to each their own i guess. And dont get mad, im a Stuttgart fanboy. Same here, but nothing wrong with the return of Mitsubishi stealing the spotlight for now. Perhaps they will release an article on the 992 when the car becomes available in the game? Though, I am a sucker for road cars pretending to be rally cars, so the Evos are a very welcome return. I almost forgot the 911 was coming out soon. Since the car has no skill perks the multiplier caps out at 5x. That means that once you've hit the cap, the most important thing you can do is earn big point skills. One thing I'd suggest is to make sure you're drifting when you hit things because the 1,000 points for each Sideswipe skill add up quickly. ykiki and Moglet like this. The 992 isn’t available in-game yet with the update, so there really isn’t much to say about it until later in the week. Ooh, sideswiping things is a good idea, I had totally forgotten about that. Thanks! I do think that it is cleaner, a bit. And they are generally higher quality. In A Class anyway, you have a pretty limited car selection: Bone Shaker, Shelby Daytona, and a couple others that may/may not be close like the 22B and Quattro. I disagree that they aren't OP in A class, they are. This is one thing that irks me about the DLC strategy for this game. Forza staff writes some nicely on-point summaries whenever a car pack is released, but the weekly distribution in FH4 more or less ended this tradition as if there’s no big deal anymore. Agreed. From a journalist perspective, it's a huge PITA that there's no official images of each weekly drop. We manage with in-game shots of our own (as well as all the great content from the GTP community, across all games), especially with that improved Photo Mode, but it's still not the same. Head into the flower beds near a sort of cafe/pavilion slightly forward and left of your starting position. Just drift around in there as you'll score landscaping bonus points, hit plenty of the knee height wooden barriers in that area too for wreckage bonuses. As has been pointed out, if you do it while drifting you can get the sideswipe bonus too. Moglet and ykiki like this. Thanks for the advice. I just lost a 30,000 x5.0 score because I hit a bench at a funny angle. I got it first try by heading to the spot where there's a ton of pink flowers everywhere, and just sliding around sideways. You'll incidentally hit enough benches, fences, and light posts, along with the flowers themselves, to get the requires score.